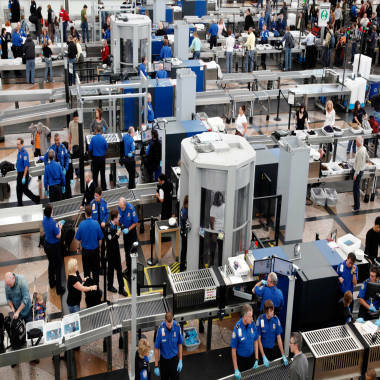 The federal government may have wasted $1 billion on a TSA program called “SPOT” that profiles people who may be “bad guys” at airports by talking to them, the Government Accountability Office reported Wednesday. There is no evidence that it works, it said. The Transportation Security Administration’s Screening of Passengers by Observation Techniques (SPOT) program relies on training personnel to recognize indicators like fear, stress or deceptive behavior that can be used to identify persons who may pose a risk to aviation security. Those who exhibit those indicators are subjected to additional security screening. The program was rolled out in 2007 and now fields an estimated 3,000 “behavior detection officers” at 176 of the more than 450 TSA-regulated airports in the U.S., the GAO report said. Four “meta analyses” of more than 400 studies from the past 60 years reviewed by the GAO found that such training produced results that were either equal to or slightly better than those of non-trained observers. The GAO also analyzed data from fiscal 2011 and 2012 and found that the rate at which TSA officers referred passengers for additional screening based on the indicators varied significantly across airports. That raises questions about whether the indicators are subjective or were being unevenly applied, the report said. Transportation Security Agency officers workers perform security checks at Denver International Airport on Nov. 24, 2010. Furthermore, a Department of Homeland Security study in April 2011 conducted to evaluate the effectiveness of SPOT in response to a previous GAO report critical of the program produced unreliable data, it found. “Available evidence does not support whether behavioral indicators … can be used to identify persons who may pose a risk to aviation security,” the GAO concluded. The program does have its defenders. Rafi Ron, CEO of New Age Security Solutions and former director of security at Israel's Ben Gurion airport, said the observational training supplements other screening systems and procedures. “I think that it is an extremely important layer because otherwise we will go back to the so-called dark ages of believing that ... this is all about detecting weapons or items,” he told NBC News. “What we are doing is not enough. ... If we are facing somebody who presents a high level of risk, then we need to search him beyond what we are doing at the airport level, the checkpoint level." “While I believe that there is value in utilizing behavioral detection and analysis in the aviation environment, we can only support programs that are proven effective,” he said. “The terrorist threats to our aviation system require us to constantly re-evaluate and evolve our security procedure, and if this program isn't working, we need to find something that will." Rep. Bennie Thompson of Mississippi, the ranking Democrat on the committee, said he intended to question TSA Administrator John S. Pistole about the GAO report at a hearing on Thursday. "I look forward to hearing the administrator explain how the over $200 million per year currently spent on TSA’s failed behavior detection program could be put to use on proven and effective measures to enhance aviation security,” he said. Representatives of the TSA and its parent agency, the Department of Homeland Security, had no immediate comment on the report. But within the report, TSA officials agreed that some of the behavioral indicators need to be better defined and said they are working on that. They also said the agency plans to collect additional performance data to better evaluate SPOT’s effectiveness. In its response within the report, DHS faulted both the GAO’s findings related to the 2011 SPOT validation study, saying its use of different statistical techniques resulted in “misleading” conclusions, and that its review of the research literature omitted some studies that supported the use of behavior detection. NBC News Correspondent Tom Costello contributed to this report.